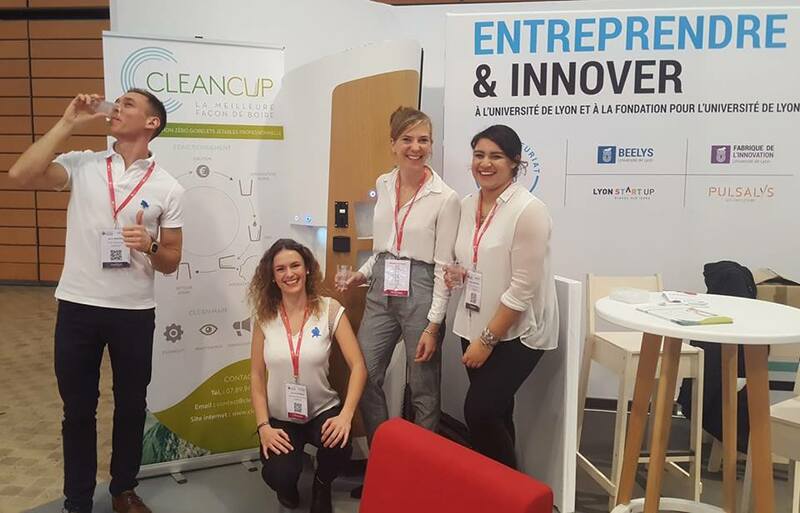 On January 17, CleanCup was at Entreprise Du Futur in Lyon. The unmissable event on the world of tomorrow: human & connected! The congress expected nearly 4,000 SMEs and ETI around Clara Gaymard the founder of Raise and the Mouvement pour une économie bienveillante et marraine of the 4th edition. We have therefore presented our solution to more than 3,000 Business Leaders present and inspired by high quality interventions on technology, organisation and digital. A moment we shared with other start-ups accompanied by our ex- incubateur Beelys. It is also an opportunity to discover about forty strategic Master Class to work among leaders on future issues as well as the Live Innovation that presented 6 concrete innovations.